Scholars consider Chinese astrology to be one of the world's oldest forms of Astrology. Unlike the other Moon-school traditions; Tibetan, Vedic and Judaic, which are couched in religion, Chinese astrology is purely secular, a direction shared by Sun-school astrologies (Western and Arabian). Ming Shu (Circle of Animals), is just one form of Chinese astrology, but it seems to be the one that is most commonly recognized by westerners. This system is what Sun signs are to Western astrology, meaning, you only have to know the year of your birth to create a general personality profile. Like all of the world's major astrological traditions however, a person's time, date and place of birth are essential to create an accurate, true birth chart. 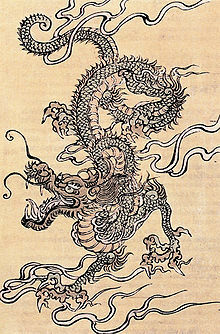 2012 is the year of the water Dragon. Although there are general behavioral patterns associated with the Dragon sign, the delineation is further augmented according to which element (earth, metal, fire, water, wood) happens to be in control the year that you are born. For example, the personality of a fire dragon is very different from that of a water dragon. A earth dragon needs to control his or her environment. This person is quiet and understands the value of cooperation, but he or she still needs to lead in an executive and dignified manner. A fire dragon is highly dramatic and competitive. This person has elevated expectations, demanding to be heard and obeyed. The criticisms this person imparts are completely constructive, however, all advice is objective. A metal dragon is strong-willed, critical, and very difficult to sway, but this person also inspires others. Everything must be done with integrity and honor; laziness and stupidity are never tolerated. A water dragon believes in growth and expansion. To that end, this person puts aside personal opinion, but maintains a strong will and wields remarkable patience. A wood dragon has a creative mind and the ability to develop revolutionary ideas. This person is compulsively inquisitive at times and can be condescending toward others. He or she generally hides a domineering spirit, but can still be very outspoken. *Information for this post was taken from Miller and Brown's "The Complete Astrological Handbook for the Twenty-first Century"; Understanding and Combining the Wisdom of Chinese, Tibetan, Vedic, Arabian, Judaic, and Western Astrology. Follow our daily updates at the Mind Body Spirit Marketplace on Facebook and Tumblr.